Great question! Here’s how it works. Throughout the year, our team keeps up with what’s new, hot, in style, delicious, making waves, going viral, selling out and making a big impression in 417-land. We take calls, letters, emails and skywriting from our audience with tips on what to check out. We keep our ear to the ground and our days, nights and weekends filled with local experiences. And now our editors combined a years’ worth of local love to compile a slate of nominations for all of 417-land to vote on. You’ll see killer contestants for each category, plus have the option to write in anyone we left off the list. (Ugh, why didn’t we think of them?!) Voting is open from October 1–31. We’ll compile your votes and publish the winners in the February issue of 417 Magazine! Nope! Let’s put this rumor to rest. Still skeptical? Ask one of our advertisers who didn’t win.😕 We take serious strides to keep our integrity intact and maintain boundaries between our sales and editorial departments. In fact, we’re required to in order to uphold our good standing with the City and Regional Magazine Association. You can’t buy a Best of 417 nomination or win with money. You can only earn a spot on the list by being the best, getting the word out and raking in the votes! Step one: be amazing. Go above and beyond. Get our attention. Once you’ve made our list, the next step is to get people (a LOT of people) to vote for you. Grab a megaphone. Tell everyone. We recommend downloading our marketing toolkit here. That’ll give you 417-branded imagery to share with your fans. Easy! You can vote online starting on October 1. You can only vote once, and voting closes at 5 p.m. on October 31. If you think your business deserves to be on next year’s ballot, we want to know! 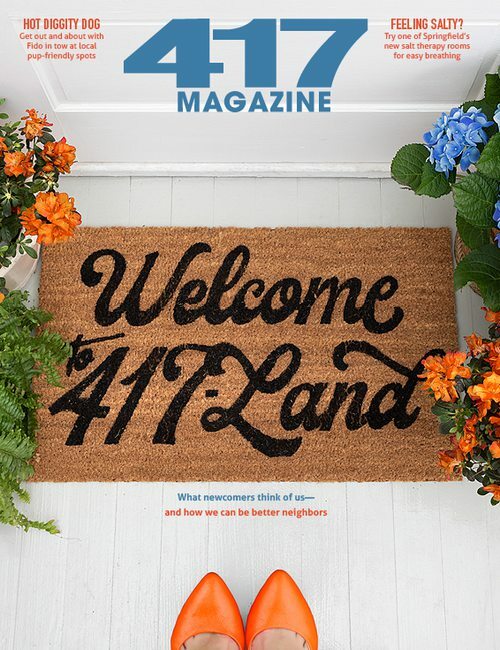 Write to our editorial staff at haley@417mag.com. We’re sure you’re awesome, so tell us why. Don’t be surprised if some of our staffers come around to check out what you have to offer. We are always looking to share the best with our audience! It is! Aren’t you a smart cookie. We’ve changed our Best of 417 procedure a tad. This year, our editors have compiled the list of nominees for 417-land to vote on. This means you’ll have more comprehensive options to vote on for each category, and nominees can focus on getting votes (instead of getting nominations and then getting votes). This system is new for us, but it’s worked well for lots of other CRMA publications, so we’re not in uncharted territory. We hope you’ll open your mind to how this improves the contest and that if you have questions about it, you’ll reach out and ask! This contest adheres to Whitaker Publishing's contest rules and regulations. We'll send you the latest straight to your mailbox each month.